The Flower bistro table contributes to your wellbeing in the garden, on the terrace and on the balcony. Since the table enchants the place with a mix of retro-style and modern lines. The designer Harald Guggenbichler was inspired by flowers giving the table its name. The Flower bistro table has organic flowerly outlines and a frame which swings around the table’s leg like an artwork, being functional at the same time. The Flower bistro table spreads happiness and weightlessness – the slim shape of it delights the people that know how to love the romanticism of small details. The outdoor specialist Fermob produces the outdoor table “Flower” from sheet steel, which is weatherproof and UV resistant because of the special coating. The table top is removable, which is the reason why the table is easy to transport and to store when not used. The Flower bistro table is available in all other colours offered by Fermob. All the other products of the Flower collection are also available. 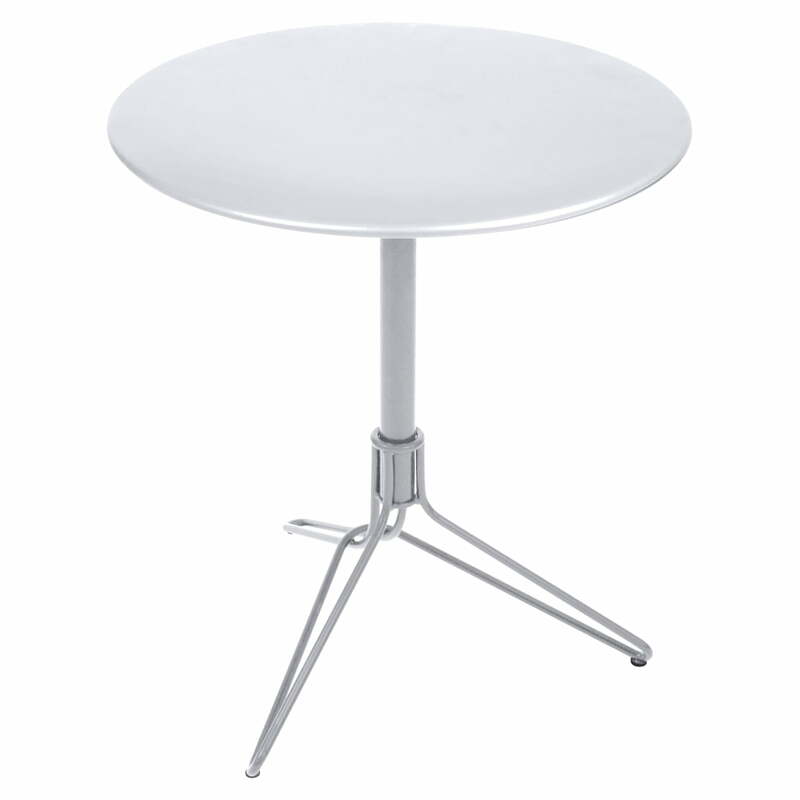 Individual image of the Flower Bistro Table from Fermob Ø 67 cm in Cotton White. Fermob produces the table out of steel panel with a high protective powder finish, making it weather resistant and UV resistant. 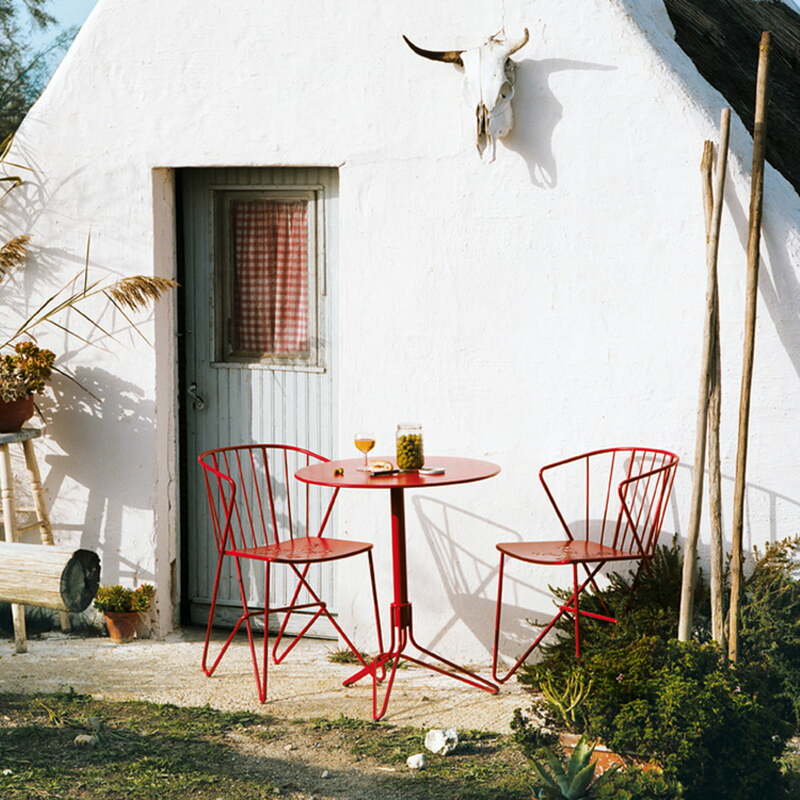 Ambience image of two cotton white Sixties chairs and the round Flower bistro table by the manufacturer Fermob standing outdoors with horses in the background. The Flower collection by Fermob seduces by a very inspired mixture of retro style and modern lines, and whose armchair combined with the matching side table reminds of a beautiful bouquet of flowers. 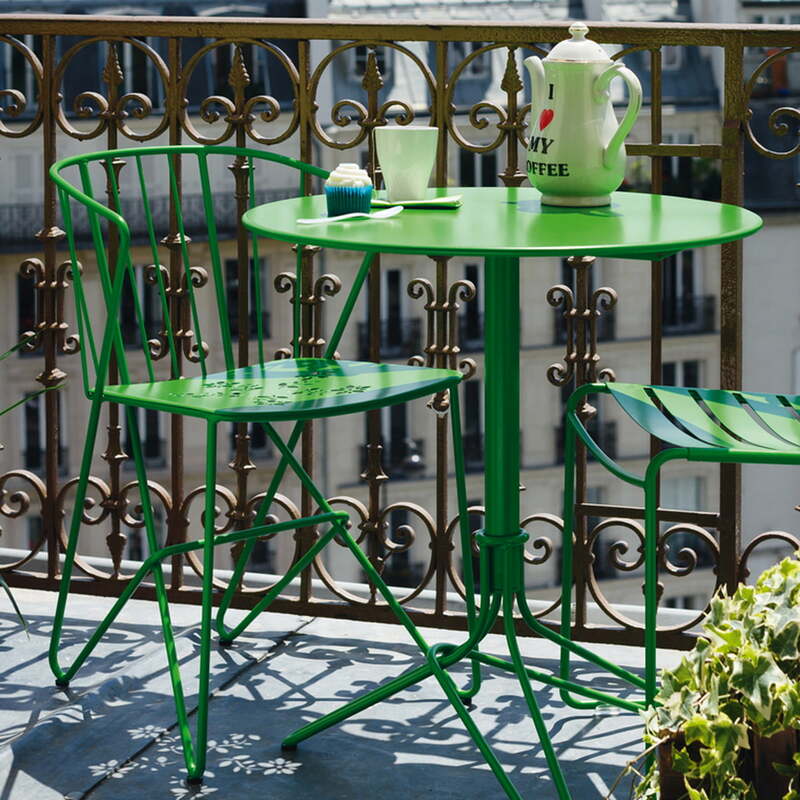 The various collections from the French label Fermob for indoor and outdoor use allow to be combined thanks to the recurring materials and matching colours.